The Bloody Mary contains vodka, tomato juice, and typically lemon juice, Worcestershire sauce, Tabasco, and celery salt. It is generally garnished with celery served with ice cubes in an Highball glass. 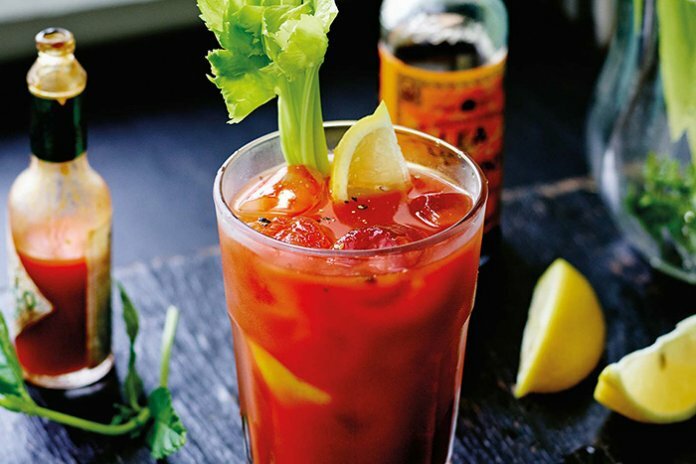 The Bloody Mary was invented in New York City. 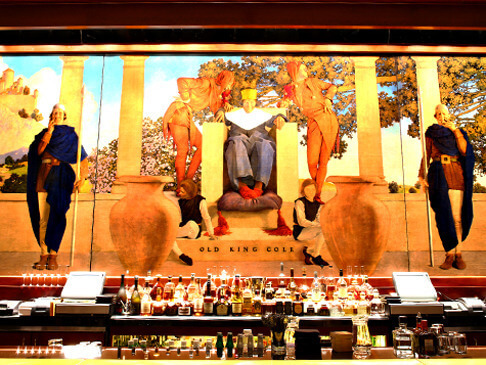 The world famous King Cole Bar is located in At The St. Regis and is most renowned for inventing the Bloddy Mary, then called “The Red Snapper,”.